Our doctors and warm, nurturing staff invite you to experience distinctive dental care in an atmosphere of trust and respect. We provide comprehensive preventive dentistry, esthetic dentistry, and restorative dentistry for smiles that instill confidence and pride. Our doctors will deliver personalized service that exceeds your expectations and changes the way you feel about dental care. Alpine Dental Care has been serving Malden and surrounding communities for almost a decade. We are open six days a week. You will be assured quickly and friendly service. We offer general dentistry and other services which include crowns, bridges, root canals, dentures, veneers and oral surgery. Our doctors will see patients of all ages. We would love to brighten your smile. 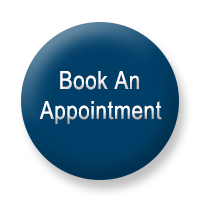 Call today and schedule an appointment, we accept most insurances and offer affordable rates.